But on to the sane dessert which requires no oven, save the microwave. Cut a piece of parchment paper to fit the bottom of your spring form pan. Spray the pan with Pam or butter it to help the parchment paper stick down. Mix the butter with the graham cracker crumbs. Dump the lot into the prepared pan and spread around evenly. Press the buttery crumbs to create a crust. Put the pan in the freezer to chill. Microwave the white chocolate chips and 1/2 cup or 120ml of the cream in an uncovered, microwave-safe bowl for 30 seconds, then stir. Microwave for another 20 seconds then stir again. If necessary, microwave additional 10- to 15-second intervals, stirring just until all chocolate is melted; cool completely. In a separate bowl, beat remaining cream, confectioners' sugar and vanilla extract until stiff peaks form, being careful not to overbeat. Gently fold the cooled, melted white chocolate mixture into whipped cream. 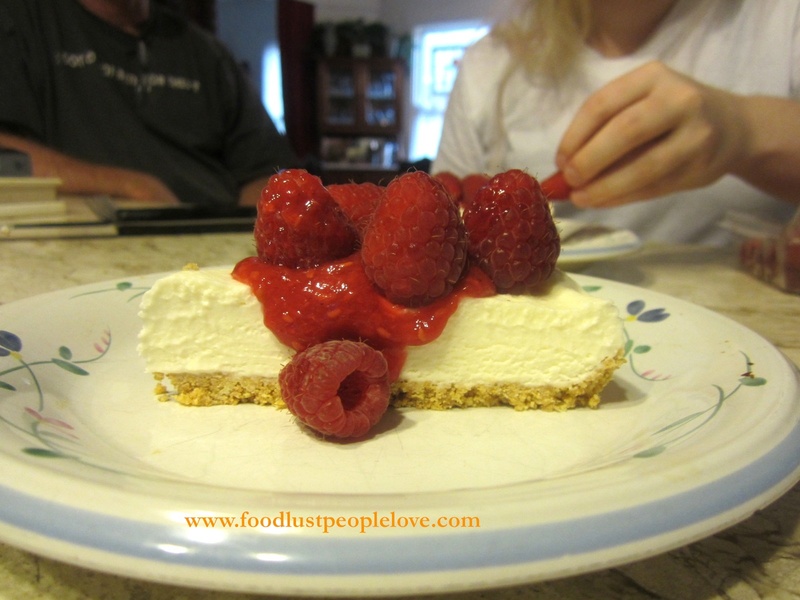 Pour into prepared graham cracker crust and spread evenly around. Pop this in your freezer until you are almost ready to serve. Meanwhile, make an uncooked berry sauce by pulverizing HALF of the berries and the sugar using a hand blender. Cover and refrigerate until you are ready to serve. To serve, remove the frozen torte (still on the parchment paper) from the spring form pan to a serving dish. If you have a big group who will finish off all or most of the torte in one sitting, you can pour the berry sauce over the pie and then top with the remaining berries. 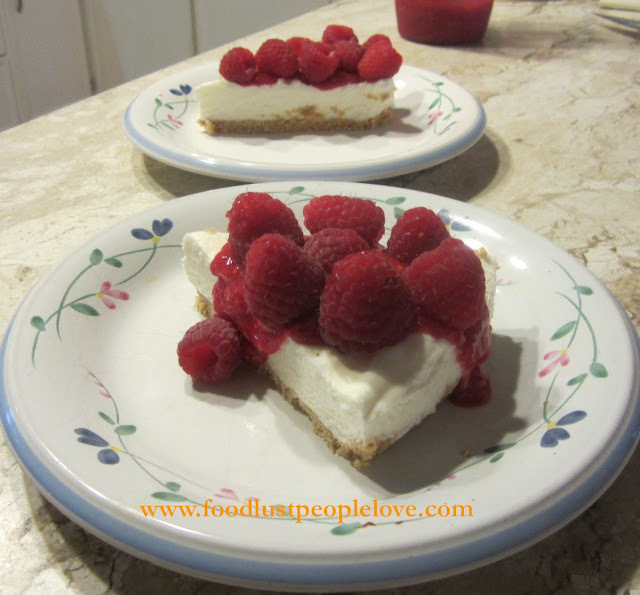 If you are serving the pie slice by slice, drizzle each piece with some of the sauce and a few of the berries. Cover the rest of the torte with cling film and return it to the freezer. This cold treat is both delectable and beautiful. Plus fresh summer berries! They are hard to resist.